A bus journey can only be enjoyed if you know you would reach your travel destination on time and your journey would be safe! Do you need bus tickets for regions like Maharashtra, Himachal, Kerala and Goa or anywhere in Asia? We own a fleet of new buses and also have associations with many esteemed bus operators. The drivers hired with us are very experienced and we also train them on how to handle spontaneous situations. 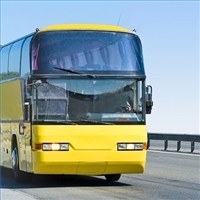 We are a Nagpur-based travel company and provide inexpensive Bus Ticketing Services! We also ensure safe journeys and on time reach!